The Farm At Green Heron Pond To Help Raise 15,000 To Help Abolish Medical Debt of Others. 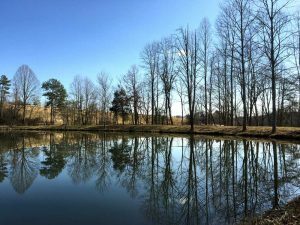 The Farm at Green Heron Pond is teaming up with ZaPow Gallery, Mignon Durham, Linda Kane, and John Fritchie to raise $15,000 to help abolish the medical debt of people living in the 34 western North Carolina counties. Working with the national organization, RIP Medical Debt, Inc., the Asheville group hopes that they will help eliminate 1.5 million dollars of medical debt locally. So how did the local effort come to fruition? On December 5, 2018, several Asheville, NC residents opened the New York Times to see a front-page story headlined “Two New Yorkers Erased $1.5 Million in Medical Debt for Hundreds of Strangers.” The story highlighted two New Yorkers that teamed up with RIP Medical Debt, Inc. and we’re able to eliminate 1.5 million in medical debt for hundreds of people who otherwise couldn’t. The local group hopes to do the same here in the mountains. The group was recently featured in the WLOS story – Asheville group joins effort to pay off medical debt for those in need. RIP Medical Debt, Inc. is a national not for profit that purchases medical debt from bill collectors and then works to abolish the medical debt and provide relief for those in need. Founded in 2014 by Craig Antico and Jerry Ashton, two former debt collection industry executives, who understood the world of debt collection and realized they could purchase this debt for pennies on the dollar. Their efforts were greatly enhanced in 2016, when John Oliver did a segment on his HBO show “Last Week Tonight,” in which he paid $60,000 to forgive $14.9 million in medical debts through the charity. Because of that effort about 9,000 people received the yellow forgiveness envelopes. So far nationwide efforts have raised more than $500 million and is on the way to RIP’s efforts to reach $1 billion of medical debt forgiveness. If you want to join this local effort visit our fundraising page and donate. Checks can also be sent directly to RIP Medical Debt, Attn: Western North Carolina Campaign, 80 Theodore Fremd Avenue, Rye, NY 10580. Want to have some fun while donating? Join the organizers for a Medical Debt Party at ZaPow Gallery in downtown Asheville on Thursday March 7 from 5:30-7:30. Get cool art and gifts as thank you’s for donating $25 or more. Then on April 28, The Farm At Green Heron Pond will host a party to thank all the donors. Who is RIP Medical Debt? RIP Medical Debt (RIP) is a national 501c3 nonprofit organization with a mission to empower donors to forgive the billions of dollars in oppressive medical debt at pennies on the dollar. Since inception in 2014, RIP has relieved more than $450 million in medical debt for individuals across the U.S., impacting over 250,000 individuals. How Does RIP Medical Debt Work? RIP, working with third-party credit data providers, searches through large debt portfolios to locate accounts meeting their criteria for relief. RIP then negotiates to buy millions of dollars of this debt at a steep discount, usually a penny or less on the dollar. 6 in 10 of both insured and uninsured people say they have difficulty in paying other bills as a result of medical debt. Over a third were unable to pay for food, heat, or housing because of medical bills. were uninsured for a time, or were underinsured. Medical debt contributes to more than 60% of the bankruptcies in the US. Until satisfied, debt lingers on a person’s credit report to negatively impact their ability to buy a home, get a loan or even gain employment. Whose unpayable medical bills does RIP forgive? Why Donate to RIP Medical Debt? Your dollar goes a long way! On average, $1 abolishes $100 of debt. 100 percent of your donation goes towards abolishing medical debt. RIP Medical Debt is a 501c3 nonprofit organization. Donations are tax- deductible as allowed by law. There are no tax consequences for those whose medical debts are forgiven. https://farmatgreenheronpond.com/wp-content/uploads/2017/05/logo.png 0 0 Farm at Green Heron Pond https://farmatgreenheronpond.com/wp-content/uploads/2017/05/logo.png Farm at Green Heron Pond2019-01-30 00:46:382019-01-31 10:14:19The Farm At Green Heron Pond To Help Raise 15,000 To Help Abolish Medical Debt of Others.